Over the past 30 years, Egan’s THE SKILLED HELPER has taught thousands of students like you a proven, step-by-step counseling process that leads to increased confidence and competence. Internationally recognized for its successful problem-management and opportunity development approach to effective helping, the text emphasizes the collaborative nature of the therapist-client relationship and uses a practical, three-stage model that drives client problem-managing and opportunity-developing action. As you read, you’ll also gain a feeling for the complexity inherent in any helping relationship. Egan makes use of his version of the “common factors” approach, which gives new meaning and vitality to the book’s themes, as well as to the use of the problem-management model to organize and give coherence to those themes. Part I: LAYING THE GROUNDWORK. 1. The Ingredients of Successful Helping. 2. The Helping Relationship and the Values That Drive It. Part II: THE THERAPEUTIC DIALOGUE: COMMUNICATION AND RELATIONSHIP-BUILDING SKILLS. 3. Empathic Presence: Tuning In and Listening. 4. Empathic Responding: Working at Mutual Understanding. 5. The Art of Probing and Summarizing. 6. Facilitating Client Self-Challenge: From New Perspectives to New Behavior. Part III: THE SKILLED HELPER PROBLEM MANAGEMENT AND OPPORTUNITY-DEVELOPMENT APPROACH TO HELPING. 8. An Introduction to the Problem-Management Process. 9. Help Clients Tell Their Stories: Stage I, Task I-A. 10. The Real Story and The Right Story: Stage I, Task I-B and Task I-C.
11. Designing for the Future: Stage II, Task II-A. 12. Goals, Outcomes, Impact: Stage II, Task II-B and Task II-C.
13. Planning the Way Forward: Stage III, Task III-A, Task III-B, and Task III-C.
14. Implementation: Making It All Happen. The Skilled Helper is an excellent textbook for new therapists who might benefit from understanding frameworks for the client/therapist relationship and how to develop the therapeutic alliance. The book has a vast range of case studies that include the useful dialog between the therapist and client that provides an insight into how a therapist can initiate and maintain a productive discussion with their client. Designing for the Future: Stage II, Task II-A. Goals, Outcomes, Impact: Stage II, Task II-B and Task II-C. The subtitle of the book also contains terminology that can be viewed as corporate speak: problem-management and opportunity-development. However, it appears the chapters and titles as above are more indicative of the book’s standing in an academic place which includes more clinical aspects of counseling as well as a wider audience outside of a therapy setting. The book is written based on Rogerian therapy and provides a person-centered focus which, as a theory, is actually less focused on terminology such as designing, future, goals, outcomes and impact and instead more focused on empathy, listening, and unconditional regard. Some of the terminologies appear conflicting in theme, however, the message of person-centered focus does carry through. 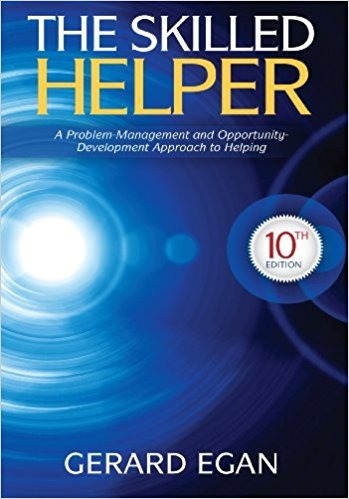 The author explains that the term ‘helper’ extends beyond what we consider as formal helpers such as counselors, social workers, and psychologists, but also includes informal helpers such as dentists, doctors, lawyers, nurses, probation officers, teachers, manager, and more. To these groups, the more formal and clinical terminology might appear more flexible and relatable to each industry. The Skilled Helper felt text heavy and was reminiscent of dense textbooks. In this respect, it can be difficult to easily flip through and pick up a section to read that might interest you. Instead, you will find picking a random page will usually depend on you reading the preceding 20 pages. While some of the reading may appear as a dry textbook, the information contained within does provide you with a complete and well-researched perspective on the topic. 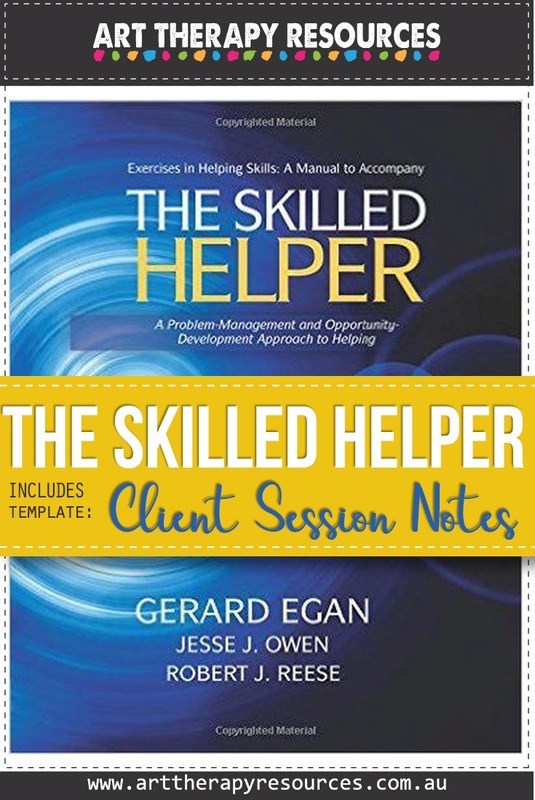 The Skilled Helper was heavily referenced throughout and provided a substantial amount of background to each concept. 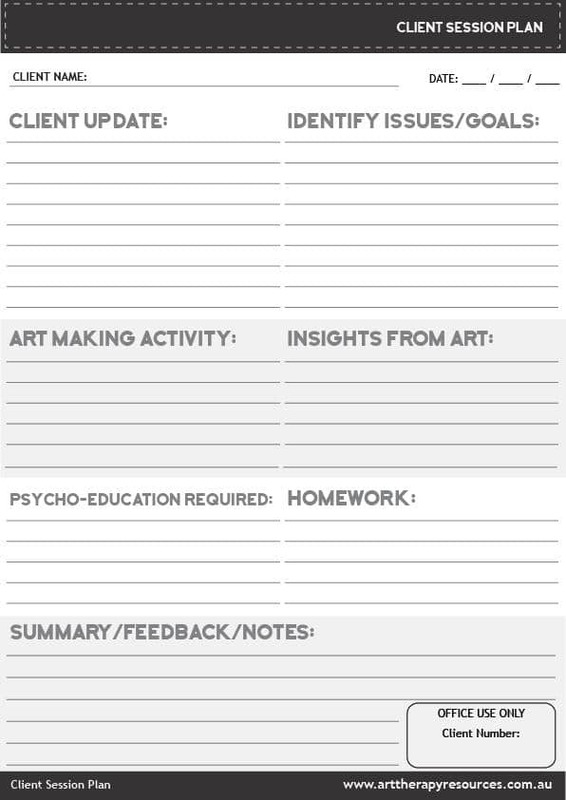 SIGN UP below to download the FREE Client Session Notes.